As the fleet got depleted went to L.O.F. > involved with Coasters > Offshore Supply Vessels , Zapata> Care Offshore> Farstad shipping. Rtd. ( V.small Part Time Solent Towage) now live in Warsash. 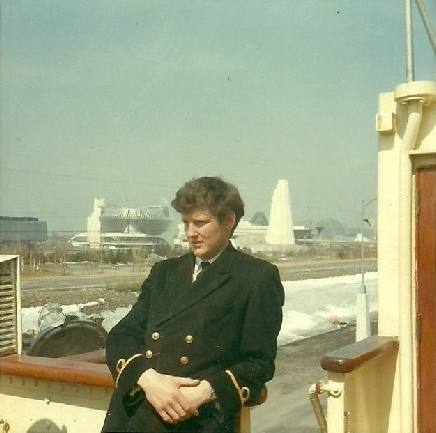 April 1970 At Montreal waiting for the Seaway to open.